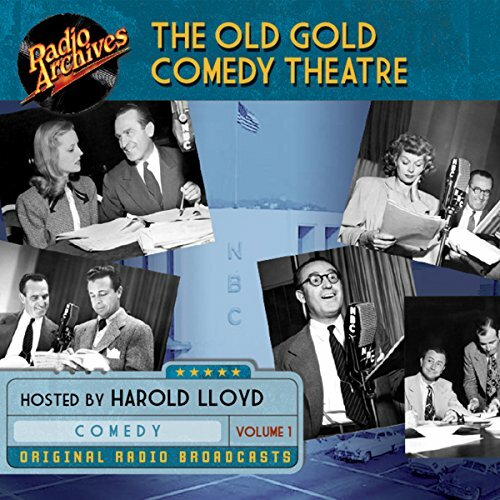 Screen legend Harold Lloyd hosts volume one of The Old Gold Comedy Theatre, a 1944-45 NBC anthology series featuring some of the top names in film and radio. Presenting half-hour versions of popular film comedies in much the same way that The Lux Radio Theater did with drama, this delightful and star-studded series was long considered a lost show until an almost complete set of recordings was found in Lloyd's basement - recordings that have now been restored to sparkling audio fidelity by Radio Archives. The result is five hours of sparkling entertainment in this first of a two-volume collection.